The next PlayStation Portable, Sony's recently announced NGP, won't rival the PlayStation 3 in terms of raw computing power, despite its impressively good looks. Sony engineers say the NGP instead sits about "halfway" between the original PSP and PS3. David Coombes, platform research manager at Sony Computer Entertainment America, downplayed some aspects of the NGP's computing prowess in a talk designed for developers and engineers, offering hints about the platform's technical specs. 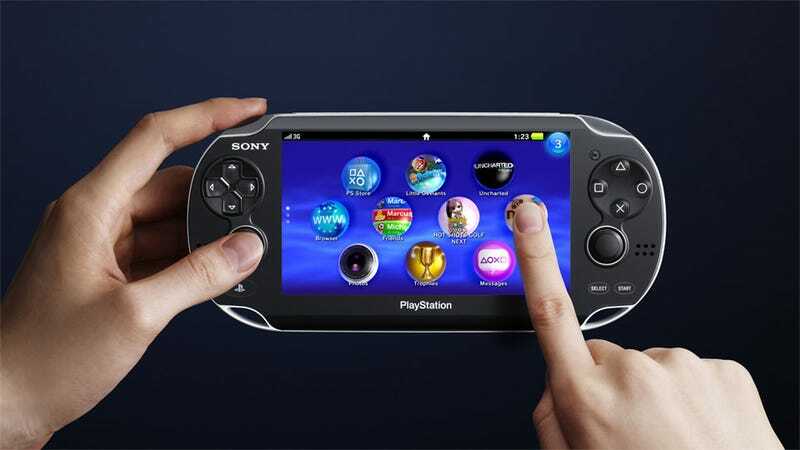 "Some people in the press have said 'Wow, this thing could be as powerful as a PS3. '," Coombes said. "Well, it's not going to run at 2 GHz because the battery would last five minutes... and it would probably set fire to your pants." Touching on the system's hardware specs, Coombes said the NGP will have a console-like architecture, using four symmetrical CPU cores. That's compared to a single core, single hardware thread for the PSP and the PlayStation 3's more complex CELL architecture. The NGP will have "a lot of memory compared to the PSP," Coombes said, but wouldn't provide specifics, only to say that its RAM is closer in size to the PS3. NGP games will be stored on either 2 GB or 4 GB cards, which also contain some unspecified amount of writable memory. The system will come in two flavors, Wi-Fi only and Wi-Fi with 3G connectivity. Coombes noted that the Wi-Fi only model can still determine a user's location using the Skyhook Wireless positioning service, which references a database of wireless hotspots to determine location. Coombes said that in urban environments, it can be more accurate than GPS. The NGP will use those location services (Near) for gifting between players and "treasure hunts" that will come after the NGP launches later this year. Coombes and Tsutomu Horikawa, director SCEI software solution development department, highlighted some of the NGP's other unique hardware characteristics and how developers might use them in games. Head-tracking, face detection and augmented reality tricks via the NGP's dual cameras—Coombes said "they're not really designed for video, they're for game play"—were given special attention. Horikawa showed off an AR demo that rendered an Ape Escape monkey on a PSP game case and a massive dinosaur in the conference room. Touch via the game's multitouch sensitive screen and rear panel was a heavily promoted feature. Coombes said the NGP can detect touch strength in an analog way. He also offered control suggestions for touchscreen games, including double-taps to bring up maps, pinch movements to zoom a sniper scope and melee attacks performed with rapid-fire thumb taps. While Coombes may have curbed expectations about the NGP's rendering prowess, onstage demos of Uncharted and Little Deviants, both of which used touch controls heavily, impressed the crowd.